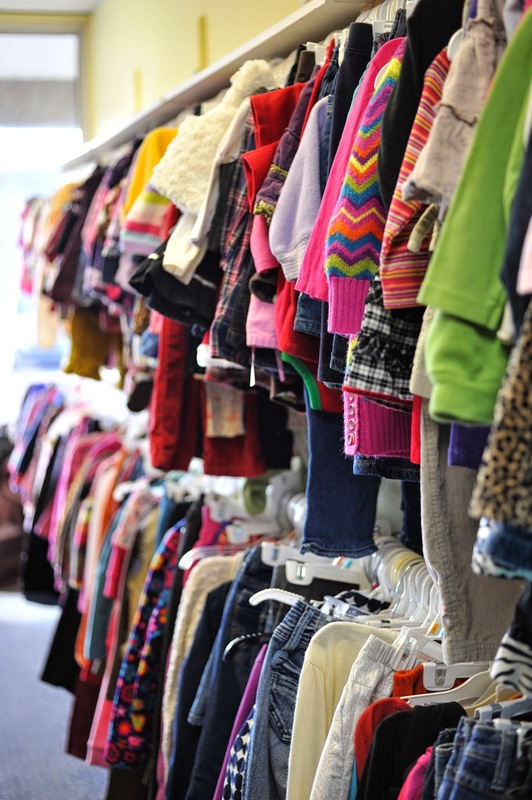 We get lots of questions from parents who have never tried consigning their child’s clothes before, and would like to know how to get started. So here we answer some of the more common questions. If you have a question not answered here, just ask in the comment section! Q: I’ve never done this before, where do I start? A: The best place to start is to contact a consignment store, to see which season they are booking for. Most consignment stores will book up far in advance, so it’s always best to start by booking your appointment so you don’t miss out on a season. 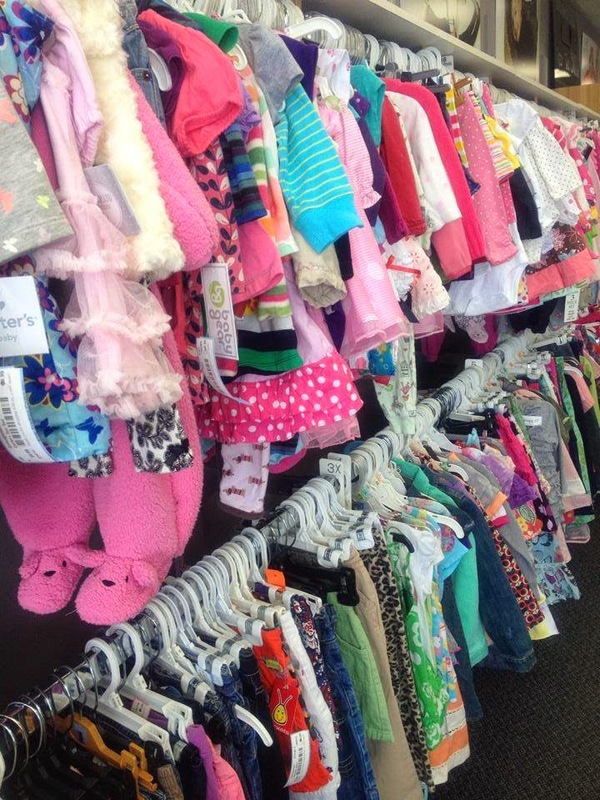 Then you will want to sort through your child’s clothes to see what is appropriate for resale. Most stores will want you to sort by season, not size or gender. While you are sorting your seasons, take out any clothes are that are too worn (faded colours, peeling prints, missing buttons, rips or tears, stains) and any clothes that are too old (out of style or hazardous – we are no longer allowed to accept jackets with a string in the hood for instance). Check your quantity for each season and make sure you are not exceeding the store’s limit. If you have too much, you might want to book extra appointments. Q: What is considered spring, summer, fall and winter? Spring: Rainjackets or spring jackets, splash pants, jeans or lightweight pants, short sleeved t-shirts, runners and rubber boots. Summer: Capris, shorts and skirts, summer dresses, tank tops and short sleeved t-shirts or shirts, sun hats, sandals. Fall: Fall jackets, jeans and pants, long sleeved t-shirts and shirts, hoodies, runners. Winter: Winter coats, skipants or snow suits, winter hats and mitts, winter boots. If you have a mixture of two seasons (spring and summer for instance) you can usually bring it all together to your appointment, as long as you don’t exceed the max limit. If you have more than is appropriate for one appointment, make one for spring and one for summer. Q: Do I need to do anything to the clothes before bringing them? A: Your clothes should be washed and folded. Consignment stores will appreciate you bringing them in a box or tote, rather than in garbage bags, as they stay nicer. If your clothes have been in storage for some time before your appointment, make sure to wash them just prior to the appointment, to keep them as fresh as possible. Put any sets together so that matching pieces aren’t missed. The better your items are presented, the bigger chance the store will choose to keep them, and the better chance they have of selling at a good price, which is what makes you more money! Q: I brought my clothes in, now what? A: Your consignment store should provide you with a list of the items kept within a reasonable time of your appointment. Some stores do so at the time of the appointment, whereas others will send it to you once the items have been entered into your system. These are still your items and they should be well accounted for. Once they have been entered and priced (systems for this will vary by store) they will be placed on the floor for sale. Any item sold will be tracked and added to your account balance. You should be able to contact your consignment store for an updated balance anytime. Payout of your credit can include store credit, cheque/cash or both. Check with your consignment store ahead of time to find out their policy. Q: What is my share? A: This will vary from store to store, so you are always best to check with your local store to find out their split, but a very common consignment split is 60/40 where the store keeps 60% and 40% goes to the consignor. The reason the store gets a bigger share, is the amount of work that goes into tracking and displaying your items for the best possibility of selling them. Hanging items, logging them into an inventory, displaying on racks and exposing them to a large customer base, marking down and finally packing any unsold pieces up takes a lot of time and effort and wouldn’t be profitable for a store at a lesser share. The store is doing the work for you, so you don’t have to. Q: What if I don’t want unsold items back? A: Most consignment stores will have an option of donating any unsold items for you and if you have indicated that’s what you would like, it will automatically be done for you. Some stores will not give you an option, but will donate all unsold items. This is not a fair practice in my opinion these items technically still belong to you, unless the store has already paid you out for them. I’d be wary to take my items to a store that doesn’t give you an option to pick up any unsold items at the end of your contract. - Has an expiry date on your account balance – if you don’t claim your credit within a certain time it expires and you are out your clothes and money. - Does not give you the option to pick up your clothes within a reasonable time limit after the end of your contract. A consignment contract is a partnership between you and the consignment store you choose. The store will promise to safeguard your items as much as possible, and try to get as much of a return for you as possible. You agree to bring only saleable items, keep within the agreed limit and keep your appointment time (or cancel with enough notice that another consignor can take your place). As long as everyone does their part, it should be a blossoming partnership for years to come!